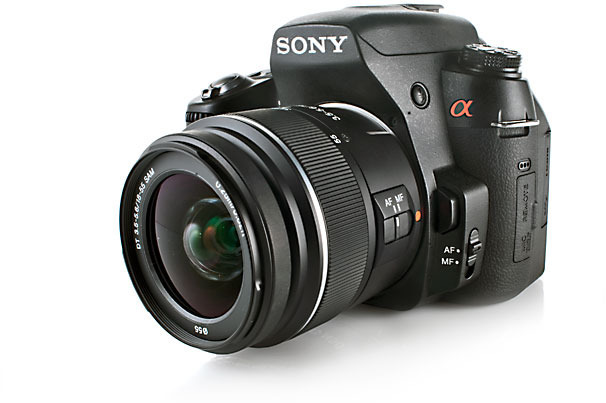 Shooting Movies with D-SLR cameras has revolutionized the film world. Cameras like Canon’s EOS 5D Mk II have made it affordable for movie makers on a less than tiny budget to get a camera that captures video in full High Defininition with variable frame rates and also the ability to change lenses for different scene requirements, plus being smaller and lighter than a movie camera, they can be used by a single crew person, which again for a less than tiny budget is fantastic. Tiny indie productions are not the only ones who are benefiting from the video DSLR’s.. Major Productions have been using D-SLR’s for certain sequences where a big camera is not practical, or in the case of the T.V. Show House, they filmed an entire season finale using 3 Canon EOS 5D mk II’s and 7 lenses. Video D-SLR’s are now common place, practically every D-SLR released now will capture HD video. A common question i get asked is, do i need lots of accessories to make a movie with my D-SLR? The short answer is no, you can use your D-SLR as you bought it and get pretty darn good results. The above video was captured using my Sony Alpha A580 with a small telephoto zoom lens and thats about it, no special rigs, lenses external microphones, just the camera and lens. With all of the accessories on the camera, you could go from something like the pic on the left, to something like the behemoth on the right. Buried under all of that stuff is what appears to be a small D-SLR camera. All of this rigging and extra stuff has made the camera nearly the same size as a normal movie camera. 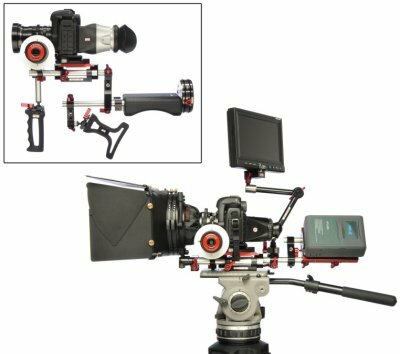 Ok, the setup still probably cost only 1/3 of the price of the movie camera, but still the advantage of light weight and manouverable is gone. But having said that, one accessory i would recommend is an external microphone. These are more accurate than the built in microphones on the camera.